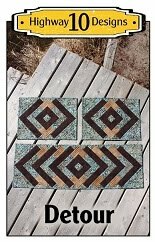 Irene made this lovely batik Magic Tiles quilt and the fabrics inspired me to pick Ripples for the pantograph. This is a new to me pantograph so the first time quilting it and it is a great design. I used green So Fine thread and Quilters Dream Blend batting. Ripples pantograph by Hermione Agee. 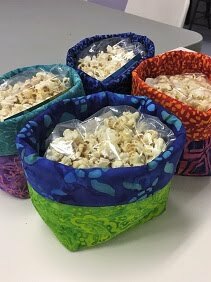 I’m off to a retreat this weekend in Winnipeg hosted by Keystone Quilt Shop. 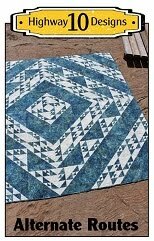 Lori and I will be doing a Highway 10 Designs trunk show and then teach a class for our latest pattern that we are releasing soon in our Etsy shop. Stay tuned for that reveal! 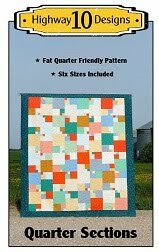 Pretty quilt, spot on with the quilting pattern! Your last pic is the perfect backdrop for this quilt! 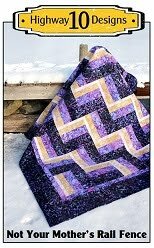 Magic Tiles is just one of those great classic quilts, heh?? And I just picked Ripples to go on my next batik quilt! Funny because I was wanting to pick a "safer" pattern, but my heart was wanting Ripples. And its beautiful on a quilt!! Thanks Kathy. I forgot how much I love this pattern. I must dig it out and make it again. Great job. Love the colors and the panto. Love the ripples panto. 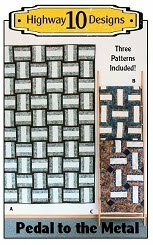 Looking forward to seeing your latest quilt pattern! Have a fun weekend.